Full of recollections of a magical time of adventure, exploration and fun. 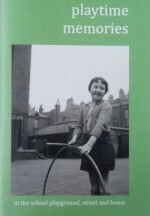 The book uses the memories we gathered from individuals and groups as part of a Heritage Lottery Fund project investigating the ways play has changed in the street, the home and the playground or schoolyard. Children from local schools also shared their comments about play in the contemporary schoolyard. The nostalgic images and descriptions of games and toys from the 1930s onward makes for a cosy, nostalgic dip into the past. Our Visitor’s Guidebook will help you get the most from your visit. Use it to explore the Museum and find out more about the displays in each room. It details how the building has changed and its unique connection with Samuel Wilderspin. 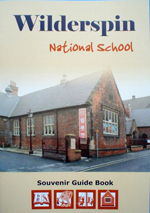 We have been able to publish the Guidebook thanks to support from the Heritage Lottery Fund as part of “All Our Stories”. 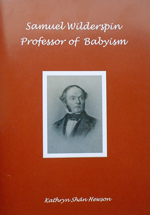 Using new material from the University of London archives, the book tells the life story of Samuel Wilderspin and his life’s work setting up infant schools across Britain, culminating in Barton where he was finally able to establish a purpose-designed model school – something he had yearned for at the start of his career. This is a personal perspective of the educational pioneer by one of our volunteers, herself a former infant teacher, whose close involvement with the Museum and discovery of Wilderspin’s contribution to British education moved her to research and write about his achievements and the toll on his personal life. Research for the book was possible thanks to the support of the Heritage Lottery Fund as part of the All Our Stories scheme. Our museum leaflet is available for you to download in pdf format by clicking on the image. It gives you a brief guide to the museum and our facilities which you can save or print as required.